On a rainy day like today I dream about spring. Oh, I would post something rainy but, that wouldn't be any fun. 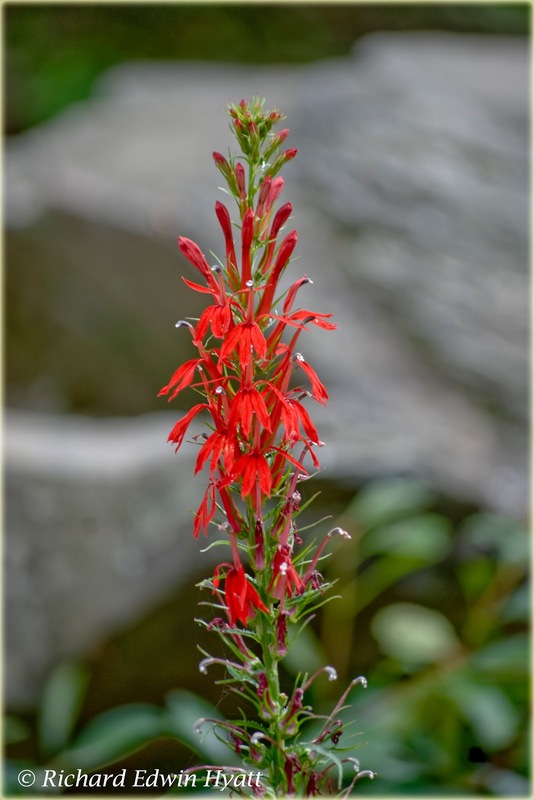 Here I have posted a Cardinal Flower. It is a flower just rare enough we are a little excited to find it and take its picture. This one we found in the Great Smoky Mountains National Park at the Greenbrier Unit. I really don't remember finding it but, the file was named Ramsey Falls Trail. So, I figure it was there. February is almost here so, near the end of that month I expect to find the first leaves of a trillium plant appear. Are you ready? I am.